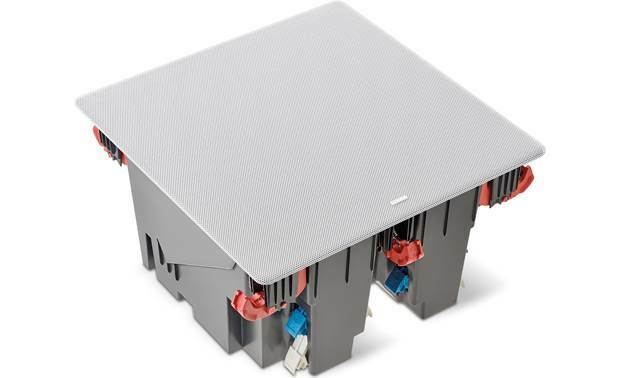 We don't often recommend in-ceiling speakers for your home theater's front channels. We don't often recommend in-ceiling speakers for your home theater's front channels. That's because most models fire straight downward, so the sound tends to seem disconnected from your TV screen. Focal's 300 ICLCR 5 is a rare exception of an in-ceiling speaker that does a great job reproducing your home theater's front soundstage. This speaker's angled baffle directs sound down and forward toward your listening position. It makes the movie's soundtrack feel like it's coming from the action unfolding on the screen, instead of several feet above it. 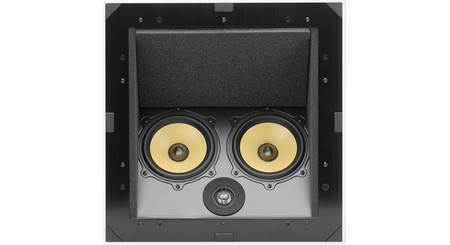 This specialized design allows for use as a left-, right-, or center-channel speaker in an overhead home theater system. The 300 ICLCR 5's drivers are angled to direct sound toward your seat. This speaker employs a three-way design to create engaging, lifelike sound in your room. 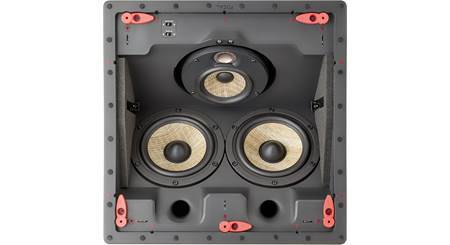 It features two of Focal's 5" woven flax fiber woofers for punchy bass, and a 4" flax fiber coner for articulate mids. Smooth, natural highs come courtesy of a 1" aluminum tweeter. 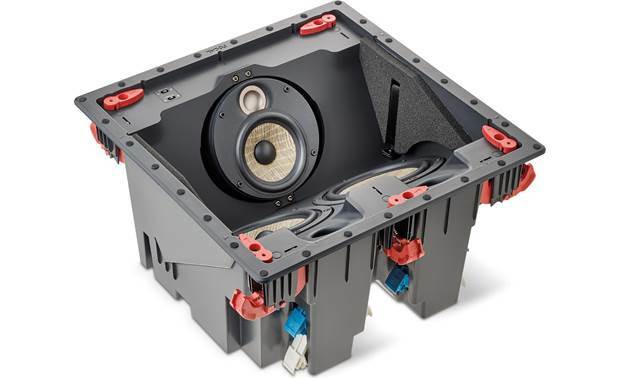 One of my favorite features of the 300 ICLCR 5 is the back-box that's built onto the speaker. This carefully designed enclosure helps this speaker deliver consistently focused, well-balanced sound no matter what kind of space is behind it in your ceiling. It also keeps dust and dirt out. If this is a do-it-yourself installation, check out our guide to installing in-ceiling speakers, along with our selection of in-wall speaker wire. Free lifetime technical support is provided with every Crutchfield purchase. Replaced these with my B&W CWM663. 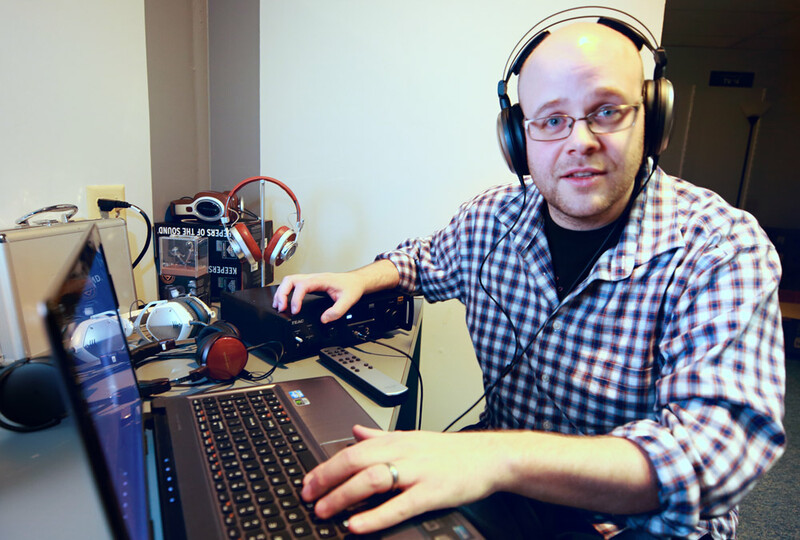 The Focals are much louder and you can feel the bass, as it's much deeper. From my attic, you can barely hear these speakers, as the enclosure does a great job of containing the sound. I'm extremely happy with them. Well worth it for the cost. 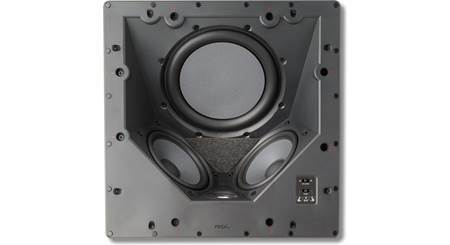 Overview: The Focal 300 ICLCR5 is a three-way, in-ceiling speaker designed for home theater applications. It can be used as either a front left, right, or center channel or as a rear channel speaker, especially in large rooms with no rear wall nearby for floor or in-wall speakers. The enclosure contains dual 5" Flax cone woofers, a single 4" Flax cone midrange, and a 1" aluminum/magnesium inverted dome tweeter. Drivers: The 300 ICLCR5 features dual 5" Flax cone woofers which produce a natural and accurate sound with great intelligibility, ideal for movie dialog. 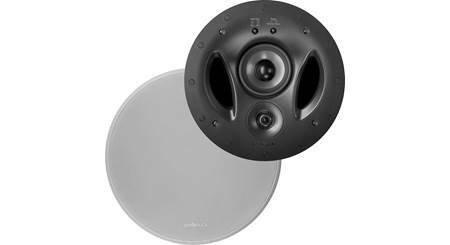 The 4" Flax cone midrange and 1" aluminum/magnesium inverted dome tweeter are mounted on an adjustable plate which can be tilted left or right for focusing the sound on the listening point, depending on which location the speaker is in. 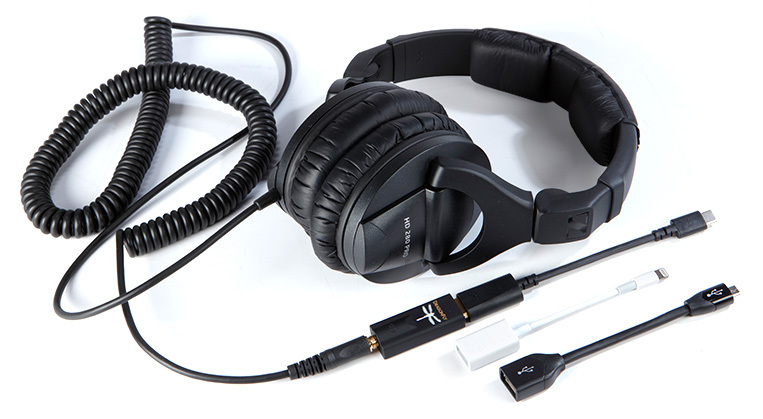 The 1" tweeter includes a 3-way switch for adjusting the output level according to the acoustic environment with selections of -3dB, 0dB, and +3dB. A second 3-way switch allows the same type of adjustment for the midrange frequencies with selections of -2dB, 0dB, and +2dB. Both switches are located on the front of the speaker underneath the grill for easy adjustment. 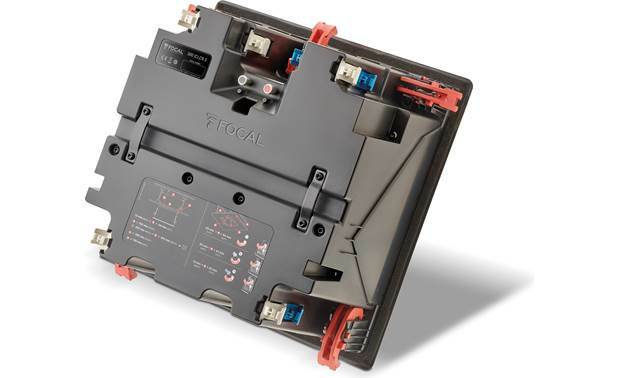 EQI Mounting: Focal incorporates their patented EQI (Easy Quick Install) mounting system which includes 5 integrated cam-arms with optimized grips. These allow the speaker to be locked into place by simply placing the cam-arms in the "ready" position and pushing the speaker assembly into the ceiling opening. As the speaker sets in place, the spring-loaded cam arms will rotate outward snapping in place against the backside of the drywall or mounting surface. Five 1" and five 1/2" spacers are provided that can clip on the cam-arms, if needed, depending on the thickness of the ceiling material. The EQI mounts will work for ceilings from 1/2" to 2" thick. 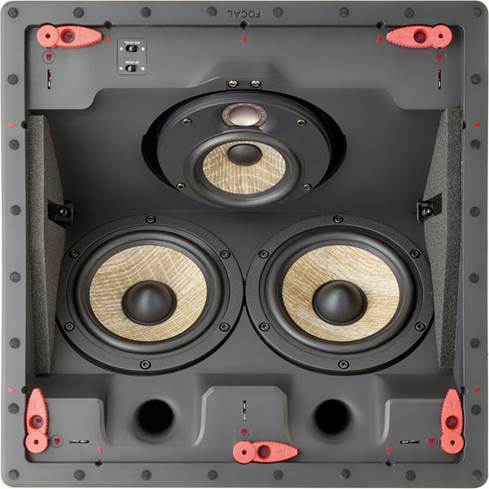 Focal also offers the 300ICLCR5 pre-construction mounting kit for installations that require more support for the speaker. 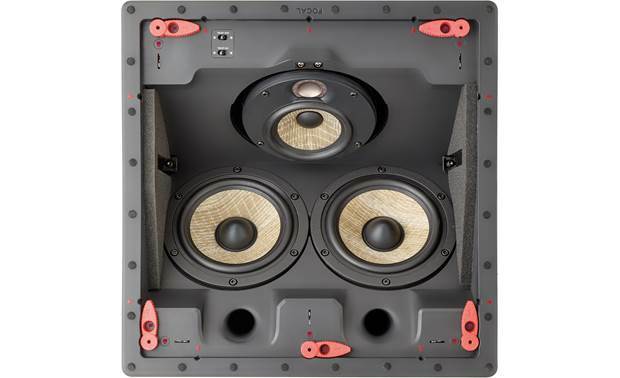 Cutout Dimensions: 13.375" x 13.375"
External Dimensions: Width - 14.50", Length - 14.50", Height - 7.750"
Searches related to the Focal 300 ICLCR 5 3-way in-ceiling home theater speaker with built-in back-box.